We are pleased to announce the start of a new league in Assetto Corsa using the Ferrari F310 from ASR with modded physics to make it suitable for league usage and running without refuelling. The first race is at Monza on Wednesday 5th September one week after a test race at Spa on 29th August. See the F310 League menu at the top of the page for links to the league results & standings. Races on Wednesdays starting 20:30 Central European Time. Event format: 3x practice starts, then 15 min qualifying and 50% race distance. Best 8 out of 9 results count for the championship. Top 12 finishers score points. Not a single “Tilke” track in sight! 200% tyre wear, 200% fuel usage, refuelling is impractical at 10 secs per litre! Drivers must use some kind of awareness app like Helicorsa or Crew Chief as the mirrors are not great on this car. Both tyre compounds will be available each race and it is entirely the choice of the driver which compound(s) are used for quali & race. Pitstops are NOT mandatory. Speeding in the pit lane will be treated as a corner-cut – or worse depending on severity. Safety Car will be deployed in the event of a bad crash. Car TBC. More recommended apps can be found on the league downloads page. Drivers should also read the league rules. If you would like to participate, please post a comment and state your preferred skin(s) (from those remaining) and a teammate if applicable. If anyone is not in possession of the Dreampack and has no intension to buy it (It does contain the Nordschleife! ), just PM me and we’ll find something else. Great session IMO, happy to be part of it. Please sign us up in lotus together with Veterani. I would try to attend for some races so count me in as a guest Driver. No Toro Rosso – Minardi has most similar colours. 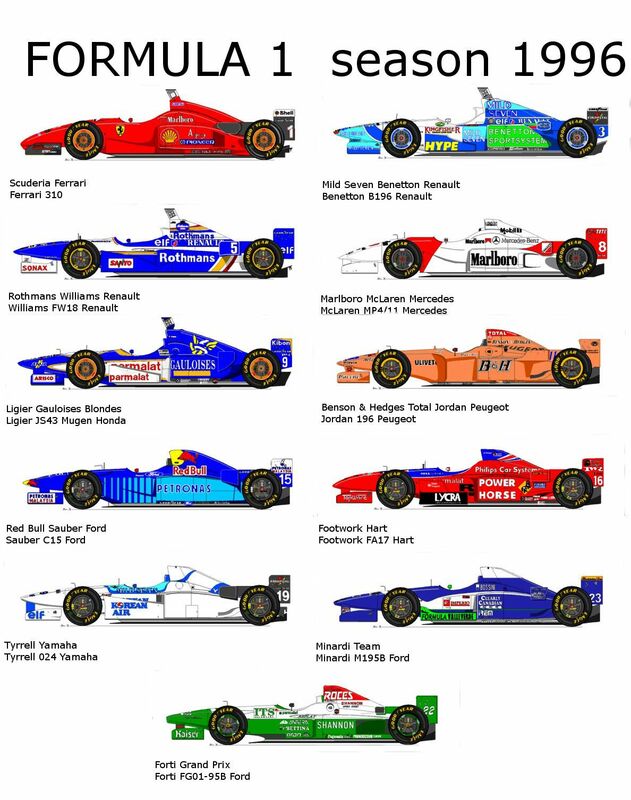 There’s no Force India in 1996. Pink is too symbolic now OR… had enough of it? I’m not sure Haas were around either. Our foes see a pink car and they are intimidated like when Senna popped into the mirrors with his yellow helmet. When they see you it’s a pink elephant, when it’s me it’s more like a large marshmallow! The Minardi’s a bit blue, but also a bit purple. be good to have you back. A completely new face at last. Welcome, server is available by searching on “flag”. For any new guys, even missing all those races he’s still quite a good bet. Wow, love the track selection, and the car selection is not so bad either. Good job, Bobby! Test race is pretty important, hope enough can make it. If too many spin-outs, I will fine-tune the traction/mechanical grip. Hi all, Can you put me in as a guest driver? I’ll try to attend most races but there will be races i can’t because of work. Looks very interesting, track and car choice. Hi Al,good to see you here again! OK – watch the site for more news – will post tomorrow. I would like to change from guest driver to join a team or create one. If anyone wants a teammate who does close to no practice and setup work, i am your guy. Sorry, Veterani will not attend, so if anyone interested in being in Lotus with me, welcome!